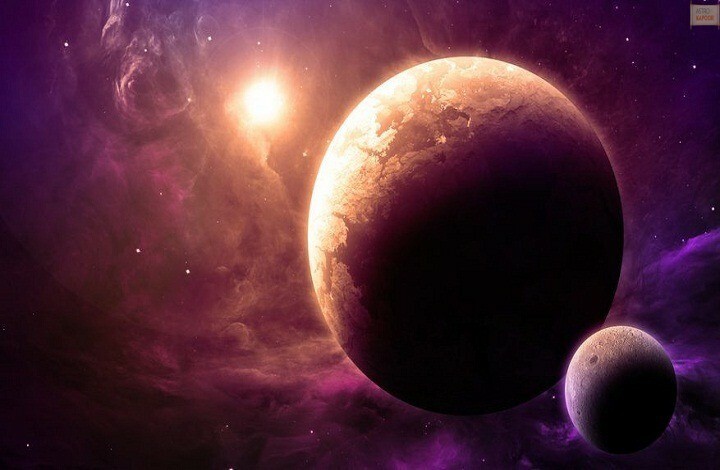 Venus and Jupiter, both are the vital planets in astrology. But the conjunction according to astrological science is not as good as the other conjunction of benefics with Jupiter, since though, both benefices by themselves, they are natural enemies. Hence, Hindu astrology gives more prominence to the conjunctions of Mercury and Venus, Waxing Moon and Jupiter, than to this conjunction, in the matter of giving material prosperity. Anyway, the conjunction of these and other good aspects between these two highly planets do certainly promise much good fortune and general good luck. In this, the native may acquire wealth surely, and honour and respect in all circles. He or she is broad minded, kind-hearted and joyful, and very liberal both in thoughts and actions. He enjoys good health and peace of mind and is always ready to help others. He marries usually to one in a high circle, and his wife will be very pious and obedient. Adverse – The Square or the opposition is not as bad as it usually happens in the case of the other planets. Hindu Astrology speaks very highly of a planet situated in Kendra position from another, and the effect is enhanced if the two are benefics. The bad aspects, however, though compatible with high birth or prominence, bring on losses in business through too much charity, or through lavish expenditure in the performance of religious ceremonies, or through helping others without knowing one’s own limit. This extravagance both in thoughts and in money matters make the native run into bankruptcy, or the person may lose heavily in money lending business. This aspect in the nativities of kings is sure to endear them to their subjects since the undue magnanimity and benevolence on the part of the king are directed to the upliftment and interest of the ruled. If good by progression, he or she will receive all social favours and make useful investments. There will be a general rise in the career and much increase in finance. He or she will enjoy life with better cheer than before in this period. When bad by progression, the native runs heavy expenditure and may often be in the want of money. His health or his wife’s health may suffer through some disorders of the blood. There would be some troubles in his or her family circle which can lead to bring some loss to his prestige.